Information: Helen Wingrave, author of books and articles about folk dance. Dance from Jugoslavia, arranged by Wingrave, Helen; music by Holder, Raymond. London: H. Wingrave, 19. Dancing Times, London, February 1959, p.243,245. "A dance from Northern Italy; la Civetta  the flirt," by Wingrave, Helen. National Rhythms, dances by Wingrave, Helen; music by Holder, Raymond. London: H. Wingrave, 19. 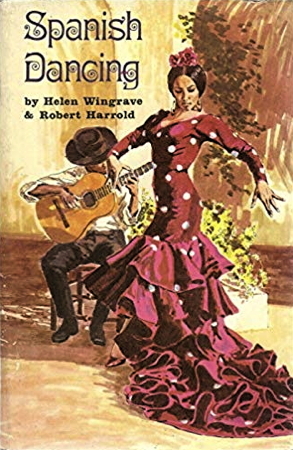 Spanish Dancing, Wingrave, Helen and Harrold, Robert. Parapress Ltd; 2r.e. edition, 128 pages, 2001.